I got a 3D camera as a birthday present from my husband. I collect View-Master reels and viewers. And I’ve always wanted to get into making personal view-master reels but the barrier for entry has been too high. Until now. Since I’ve taken so many 3D pics I thought I’d share them here on a semi-regular basis. In order to put them on the web, I had to convert them to red/blue shift “anaglyph” images. 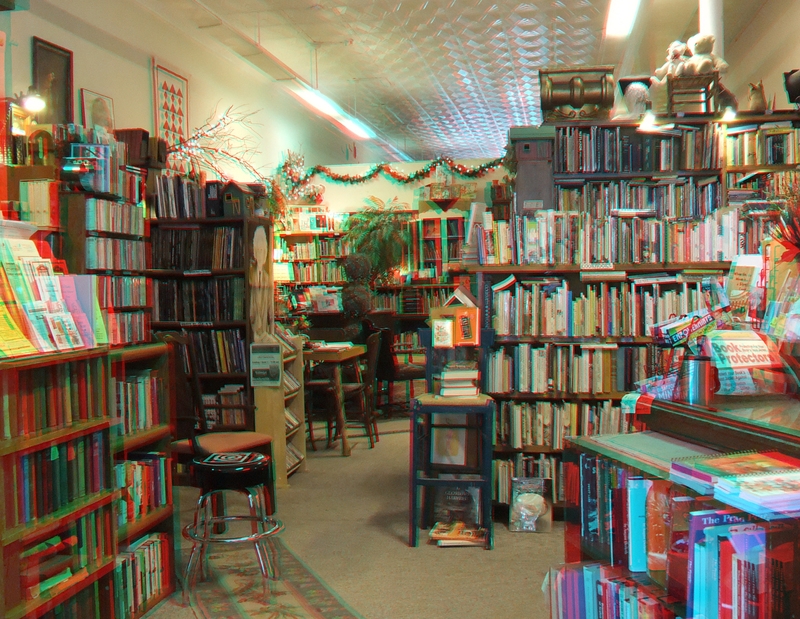 You’ll need a pair of groovy 3D glasses to appreciate them. Friends, family, clients, and fans (ha!) can just ask me for a pair. I’ll be happy to send you a set. I bought a bunch on eBay and have already dropped a few in the mail. Click on the image to go full size. I think this is one of my favorite images so far!